Checkout the new and improved recipe here!!! 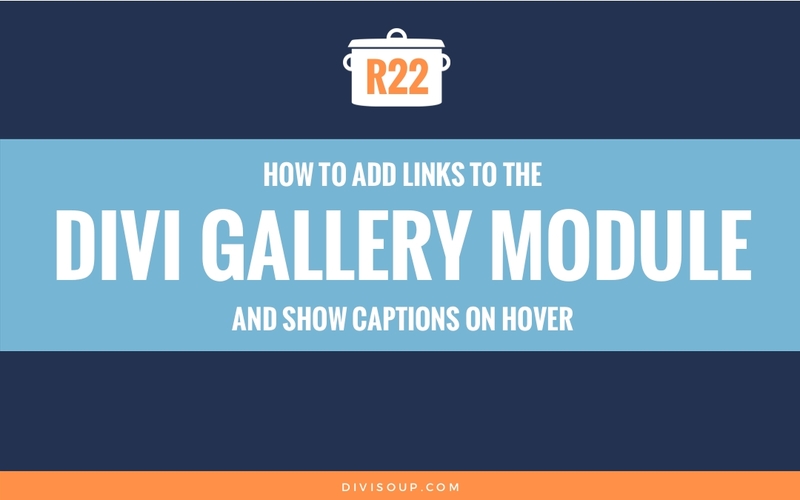 Recipe #22 is a modification to the Divi Gallery Module using only CSS and a little HTML: How to add links to the Divi gallery Module and show captions on hover. In creating this recipe I discovered something I hadn’t realised before, did you know you can add links to the caption field in the media library? 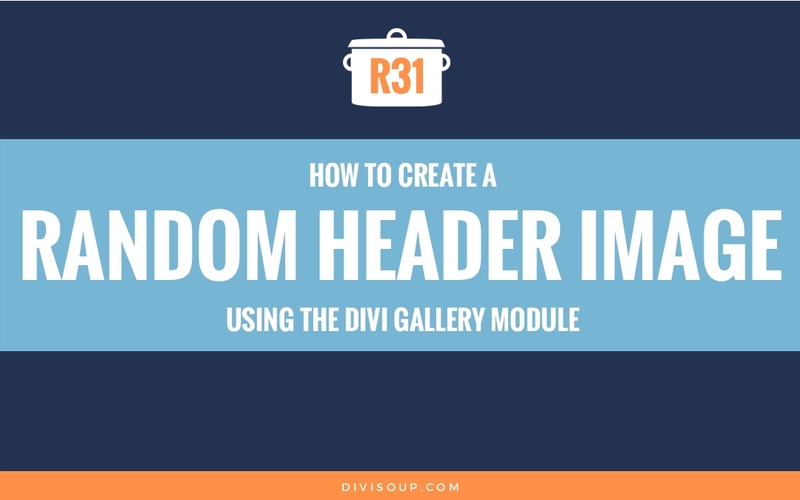 I certainly didn’t but that little discovery made creating this effect so much easier and means that now, instead of your gallery images opening in a modal window, you can now link them to any web page you like, which for me really extends the possibilities of this already great Divi module. You can view the demo here which uses 8 images but you can have as many as you want. Some suitable images sized at 900 x 600px, although any image size should work. This should take you around 15 minutes max. The first thing we need to do is set up our section. So add a new section with a single column and then add the gallery module. 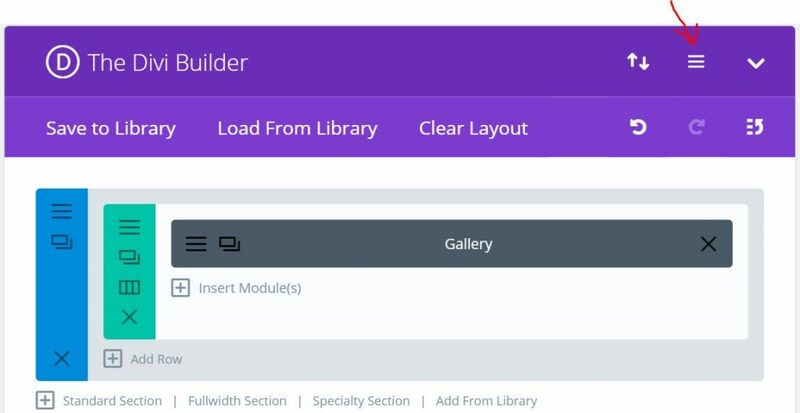 We are going to make this a fullwidth gallery so open up the row settings and set it to fullwidth with a custom gutter width of 1, then save & exit. Next we need to set up our gallery with the images, captions and links we want to display. So open up the gallery module, set the layout to grid, set the number of images you want to show (I’m using 8) and make sure show title and caption is set to yes. Then click on update gallery. 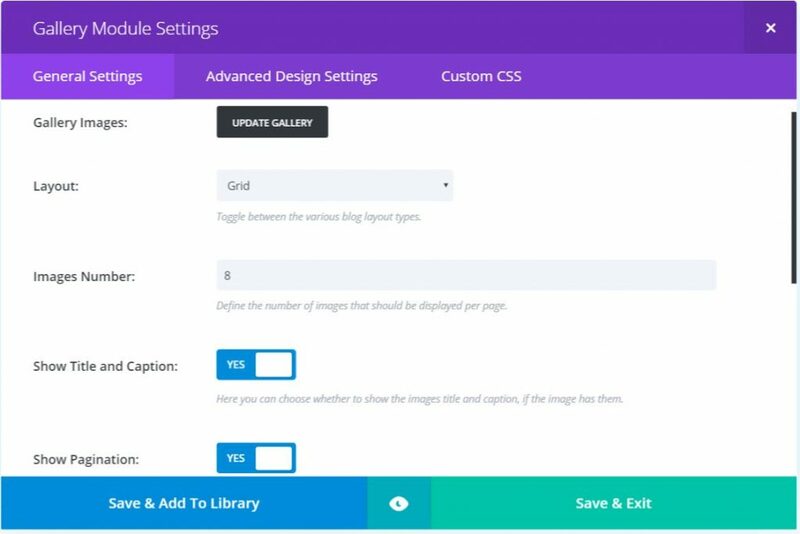 In the media library, upload your images as you normally would and then select the images you want to add to the gallery. If you add roughly the same amount of text I have used in the demo then you shouldn’t need to make any adjustments to the CSS but if you use less or more or change the font size you made need to edit it in a few areas but I will show you where in a moment. 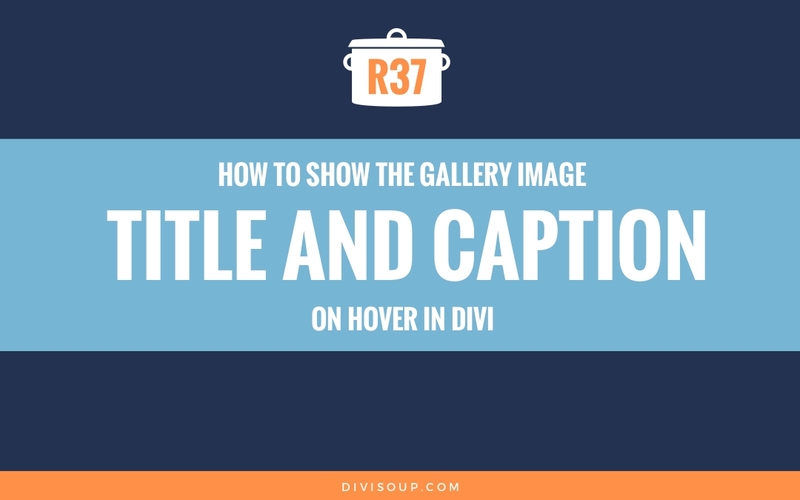 If this is the only gallery you have on your site or you want to use this effect for all the galleries you have on a site then you can add this CSS to your child theme stylesheet or the Divi options custom CSS box. However, as I have not used a custom class with this recipe (the caption text was a pain to target) if you don’t want the effect applied anywhere else on a site then add it to the page specific custom css box. Adding some media queries so it also looks good on smaller devices. Check the comments in the CSS to see which values you might want to change if you are using more or less text than the demo. I have added media queries for the most common screen sizes but it is impossible to test for them all so you may want to add some more, that is up to you. And that’s it. Now when you want to add to your gallery simply update the gallery with the new image and include the link in the caption field. I saw you already answered “You can display the link as a block element and then set a relative width and height.”. But as I am new user, how do you implement this ? if I follow your recipe and add the links and the title to the images in the MediaManager, I will end up with all places where these images are used in my website. I have some images which I use in different contexts, and I want to show them in the gallery in one context only, without influence to the other uses of that image, is there a way to do this? Or do I have to upload the images again for this use and can’t reuse the images which are in the medialibrary already? This is a fantastic site so glad I found it. I needed to know how to put a link on a Gallery Slider image, Ive managed to get rid of the Lightbox with some CSS and tried a few plugin to get a link on the images but so far failed to find a solution. I wish ET would make a simple slideshow that didn’t require type padding to hold it together. If I can find out how to add links to the Gallery Slideshow I will be a very happy man. I have tried adding the code as well as link all my images in the portfolio but it only shows the code on the front end. I had a similar glitch when wanting to make my footer open on scroll so not sure if there is something wonky with my installation, but it is not working. Could you possibly assist by having a look at the site? I can send you a PM with the details if possible. I have a portfolio of websites on the site and this would be stunning! Please, can you explain how to display the link as a block element and then set to relative width and height? I want this to work when selecting the image, not just the text. It’s me again lol.. ok so I am trying to find a way to make my gallery images clickable (leads to a specific page) but not implement any of the captions and borders.. I have done lots of searching, posted in the support / design forums but most replies and results lead me back to you.. This is not a bad thing because I appreciate your knowledge but I was trying to get it done myself but I can’t figure it out. Any advice on what to do would be greatly appreciated! Thanks for much for the helpful article. I am wanting to modify your code a little, but I can’t quite figure out where I need to do that. In the gallery module am wanting to simply replace the default icon with the title of the image on hover. Similar to what you have outlined, but without the boarder and link etc. Would you be able to help guide me through this? Thanks for this great article. I have two questions. the link only work on text of caption . 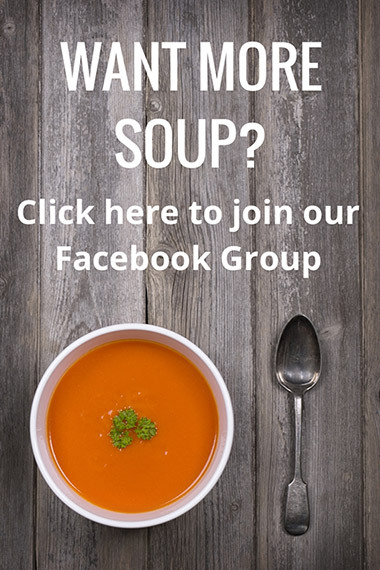 how to increase clickable area to whole image ? second question is about the size of image. gallery grid makes images small. i am showing only one image so i want the image to be of original size. how can we do that ? You can display the link as a block element and then set a relative width and height. Hi! This is exactly what I needed, thank you. Only one question remains; Is it possible to make the link cover the full image? So that you don’t need to click the title specifically. can you post a code? Hi, i’ve tried this exercise numerous times, but something isn’t right. Attached is a screenshot of my gallery. The title shows up underneath the image when I hover over it. Also, the images are cut off at the top. Just an FYI, my images are sized 900 x 900 pixels. I have divi theme and I’m stuck. Can you help? The home page I’m working on is in draft mode and not the one published. As your images are different dimensions you will need to adjust the padding values to push the images down and have the overlay the correct size. Thanks for this useful recipe. I am wondering if there is any way to show title of image in slider .Right now we have “show title” option only when we select grid layout in gallery module. i have copied the CSS into my page that contains the gallery. everything works apart from 1 thing. when i click on the text i can see the url as expected but instead of taking me to the new page the overlay is still opening and it’s giving a ‘image cannot be loaded’ message – i guess this is because it’s using url syntax to open an image file. how do i stop the overlay/lightbox feature from opening on click and make it link to the page as it should? many thanks for any help with this. I got stuck at 3.40 in… You mention adding a html link in the captions – but where do I get that? How do I generate it or find it? Hello Michele. I used your way to build my page, however there is something I would like to improve. 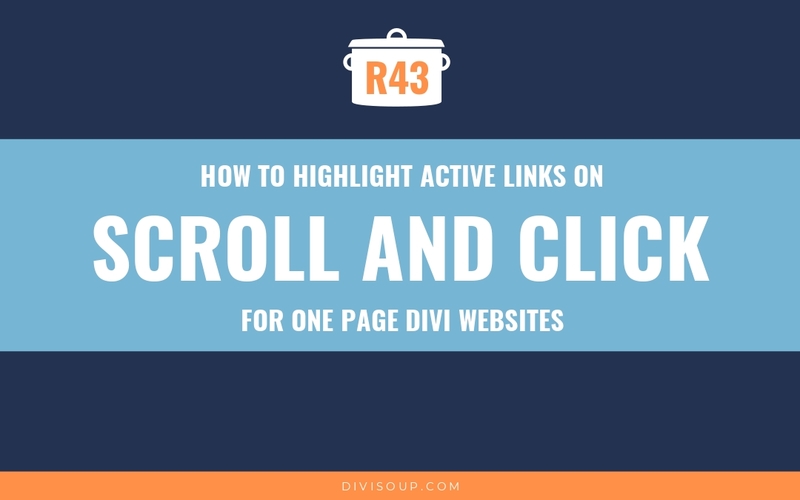 Is it possible to open the related site (the link in the image) after clicking on the hovered image, not a text (link) only? This works fantastic and has produced a fantastic result. The only issue I have is when the site is viewed on mobile the overlay is slightly larger than the image and the images appear aligned to the left (only by a small amount of pixels). Wow! I have been looking for this for sometime now! I have limited coding experience but followed your tutorial step by step. I would like to have my images square (they are 500×500) and although I have set to a grid of 8, only 4 are showing up and the first image is divided in two. Any suggestions would be greatly appreciated. How to add effect lightbox ? Hi Michelle, I tried this tutorial on http://www.jest.cloud but it didn’t work. On images is shown the code. Why that? I would like to add a CSS Class to my gallery module, so that the CSS only display on this specific module (and not on others). Would you give me some tips on how I can achieve that without breaking everything ? I tried some things, but nothing good so far. Thank you very much and have a nice day ! I followed all of your instructions, everything went as instructed right before the CSS entry. Once I entered CSS, the hover over effect did not result in the same outcome as your video shows. It stayed the same as the step before the CSS code paste. I pasted the code to the page as you did. Anything am I missing? Thanks. I really couldn’t say without seeing the page and the code. Have you tried downloading the layout and just changing the content? Thanks for posting this. I was trying to figure out how to achieve this. I have done as you have instructed but I seem to be having issues. Would you be able to help me? There seems to be a weird issue with the spacing between the rows of each set of images. When I hover over certain images the overlay extends past the bottom of the image and ends just before the next row begins. Thank you so much! So simple lol. If I want to apply this to an individual gallery, where do I put this code? Hi Michell, can not this be implemented in full-width portfolios? Because I create a carousel type portfolio, but I could not get it to click on the logos, the user to go to another site was external. I have no idea what I’m doing! I just wanted to make my class images clickable, and I think I’m on my way with these wonderful instructions. I can’t thank you enough! Michelle, thanks for the tutorial. Great tutorial Michelle, but is there a way to do this without a full-width grid? I’m also having trouble with my image sizes even at full width. I’ve set them to 900×600 as per the tutorial but they keep getting cropped and off-centred, this changes between the landscape and portrait option of the gallery in divi (not sure if this is a new feature) What can I do? If you have followed exactly that should not happen. Have you downloaded the layout and just edited the content? Thank you so much for this informative recipe. It was exactly what I was looking for. I am grateful that, for once, I did not have to pull out any hair to figure it out. I especially appreciate the comments and descriptions about the css. Hello Michelle, My awesome 4 image grid has turned into an off looking 3 image grid since the last Divi update. Do you have a way to get the 4 image grid back? 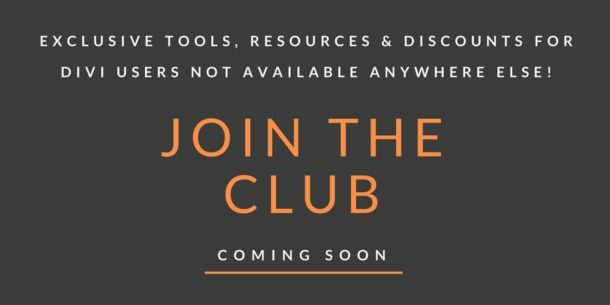 http://www.achieveIT360.com (home page) Thank you for any ideas. Hey Andrea, I believe I solved this for you via FB yes? I have vertical images (book covers) at 345 x 499 px. I’ve set .et_pb_gallery_grid .et_pb_gallery_image width: calc(50% + 1px) to get manageable images. But I am having difficulty figuring out where to adjust the hover width – I need vertical ‘box’ for caption. What am I missing? I have this same problem, also with book covers. Covers end up overlapped vertically, and the hover effect only covers the top half of the book covers. this works well with photo galleries when its a grid but doesn’t work when the gallery is set as a slider, any ideas on allowing slider images to link to external URL? When I add the css code into the image description and add my title and copy in the click save and refresh inside the images where the text would go I see all of the code. Any Suggestions? the code works well with 8 images. But if I wanted off with more what needs to change? I tried to increase the number of successive 8 but you only see the strips. Hi Michelle! Thanks for this great tip!!! Is there a way that, when you click on a image of the gallery, the image open on fullscreen lightbox like the “normal gallery” does? (no external link). I have the same question. Did you get it to work with Michelle’s tips? Kirsten (and Gerard and Michelle), I would like the original lightbox display on click too. Did anyone ever come up with a solution? Hello Michelle! Thank you for the wonderful tutorial, however I ran into some problem, the 4th row of the grid always has some overlapping issue. I’ve tried switching the images around, checking that the images are all in 4:6 format but still the 4th row always overlaps. Would you know how to solve this? Thank you! Do you have a link I can look at please? thanks for this recipe, I love it so much. I have some problem, the links didn’t work, what should I do? 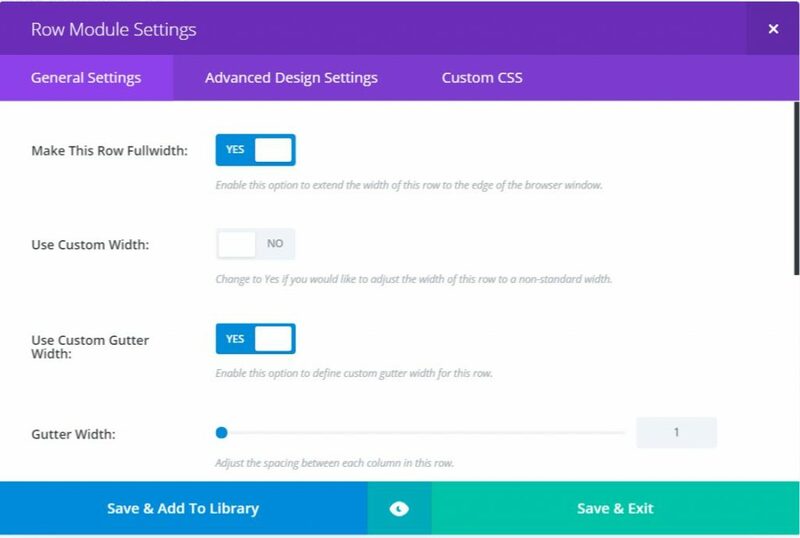 is it need to update divi with the newest version? I got *most* of it to work. However, when I hover over the images the nice box comes up, but the only thing I can ever get in that box is what I put into the Media Library image meta data ‘caption’ field. Cannot figure out what I need to do for the title to show as well. Currently all I get is the ‘description’ which I have to put into the caption field in the Image Metadata within the Media Library. Thanks alot for this tutorial! I have a question maybe you can help me. On very high resolution screen the gallery rows are overflowing each other. But on my laptop resolution it works perfect. Maybe I doing something wrong? Also, how do I show the caption permanently instead of only on hover? Where do i find the first set of css to change 25% to 33% ? Also, do you mean overlay sizing css i added from your tutorial or elsewhere? Also how do I show the hover effect permanently, instead of on hover? I want to show the caption and the effect without hover. How would I edit this to make the gallery include 3 pictures in each row? Thank you Michelle. Nice customization and tutorial. I`m using your ideas in my gallery. The caption hover with link was a real cool idea. Right now I made some mods and found a solution for a small problem. Sometimes when reducing the browser windows, some images were overflowing from my boxed layout. 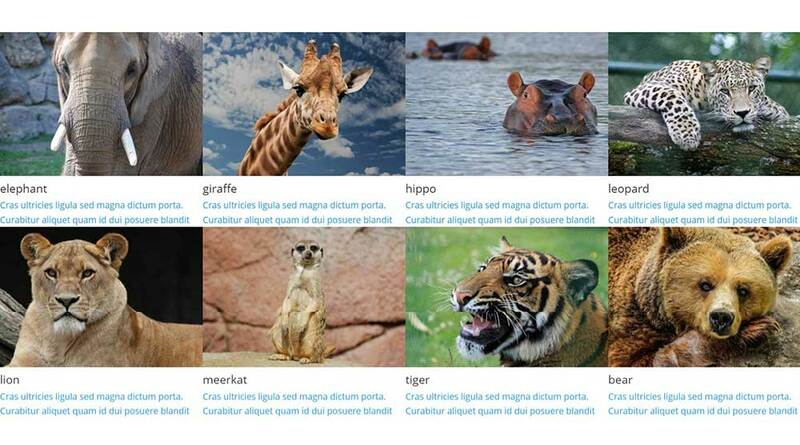 Solved by including the following CSS in the Main Element box of the ROW of the gallery . Hi Michelle! Very nice tutorial. Which part of the Code stops light box from popping out? Thanks a lot, Michelle! Very nice tutorial! How to disable this hover in mobile version and only work on desktop version? Your site is fabulous. 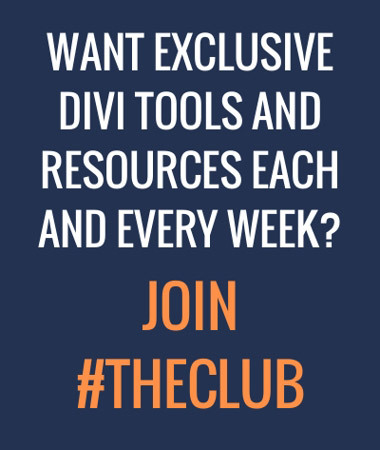 I am just starting with DIVI and really love the recipes. Thank YOU! Thank you so much for the tips and tricks. I did apply this code for 6 pictures and works great. However I am not quite happy with the pictures size. They almost looks like thump size. Is there any code to apply I can make them appear much bigger! Is there an easy way to have the title (eg Bear) showing always and the subtitle text show on hover? Thank you for this great ressource. Is it possible to do the same for images module ? I’m having a bit of trouble with hover effect. I want to use effect, but simply to open image in Lightbox view. The gallery does not display until I remove position: absolute, but then I lose hover effect. Can you point me in right direction? I can’t seem to see why this isn’t working for you just by using dev tools. Have you downloaded the actual layout and tried with that? As always you make a great job. And I love cooking with you !! <3 Thank you so much. I love this! It looks great, and the tutorial was easy to follow. I wonder if the same tutorial would work in Extra. I’ll have to give it a try. This is so great Michelle. Your tutorials are really great, and I use your recipes all the times. This one is great for my photography section, and it´s allready added and working. What I would really like is to have the images square, is it a simple way to do that? Thanks Finn, glad it is helpful. This is awesome Michelle, is there a way to show the title without hovering, and the box effect and when hovering? Quite possibly this could be achieved with the :before pseudo class Lori, you could look at using the title field to display before hover and hide on hover. Pretty cool, but is it possible to alter this somehow for the portfolio module as well? any update on making this work for portfolio/projects? Such a great tip! I have a photography site and I will be using this soon. Great tutorial, as usual. I love the recipe concept and how you show us the end result of what we are cooking up and tell us the ingredients, how long it will take, and then a detaild step by step. I also appreciate the CSS explanations. Perfect! Thank you. 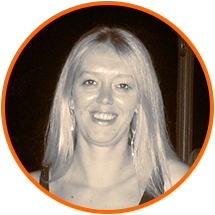 Your posts are always interesting and useful but what makes them really valuable for someone like me who is trying to develop their CSS knowledge is the comments you add to the code – thank you Michelle. Hello Michelle, is there a way to make the whole overlay clickable instead of only the tekst/link area?